Los Angeles has many different kinds of attractions, some more well-known than others. But thinking outside the box can be very rewarding when considering where to go in LA. Today we'll dig a little deeper into the Los Angeles that most visitors don't see, the locals only Los Angeles attractions. In a related post, I covered the first-time visitor's guide to Los Angeles that featured many of the main attractions for which LA is famous. But this post is dedicated to the unsung heroes of Los Angeles! Most visitors don't make time to see these LA attractions. I've featured some of my favorite places to go when family and friends visit, or when I need a little reminder of why I love living in Los Angeles. This post only scratches the surface, but it gives you a good place to start when planning your visit to Los Angeles. Developed in 1905, the Venice Canals Historic District is the perfect place to stroll hand-in-hand with your best guy or gal while soaking in the California rays. Inspired by the canals of Venice, Italy, the Venice Canals feature many waterways lined with sidewalks, picturesque bridges, and stylish homes. The Canals are a little-known gem, so you'll not likely have crowds to contend with when you go. Have you ever heard of the #Venicecanals in #VeniceCA? This historic residential development is the communities namesake. Started in 1905 by developer Abbot Kinney, the canals were meant to replicate the canals of Venice, Italy. Today they are a quiet refuge from the #VeniceBeachBoardwalk. Consider a stroll along the canals for a #secretLA experience. Enjoy the varied architecture which includes modernist structures like this alongside seaside cottages original to the area. This local beach offers picturesque coastline, ideal for photos and sunset walks. Approximately 25 miles from Santa Monica, this beach is easy to find and offers a large parking lot. Be sure to bring cash or check for the parking fee, as well as a picnic for a sandy snack or meal. 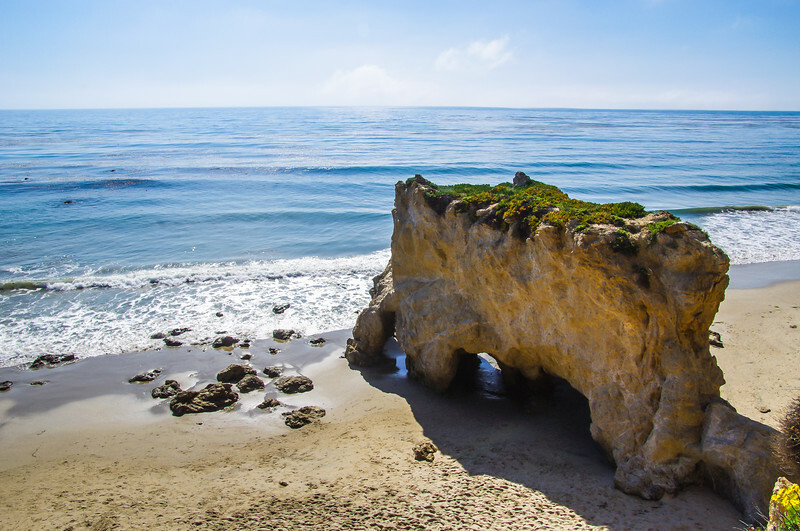 Tip: When you go to Malibu, be sure to check out the scenic drives of Los Angeles to take advantage of your time in the area. While most people flock to the Santa Monica Pier and 3rd Street Promenade, I personally like Main Street Santa Monica much better. The beach town vibe, trendy boutiques, and posh eateries give visitors a real taste of LA living. It's one of the places I go when I want something unique to wear or gift. Although most people bee-line to the Getty Center, the sister museum, the Getty Villa, is equally as amazing. Visiting the Getty Villa is like stepping back in time. 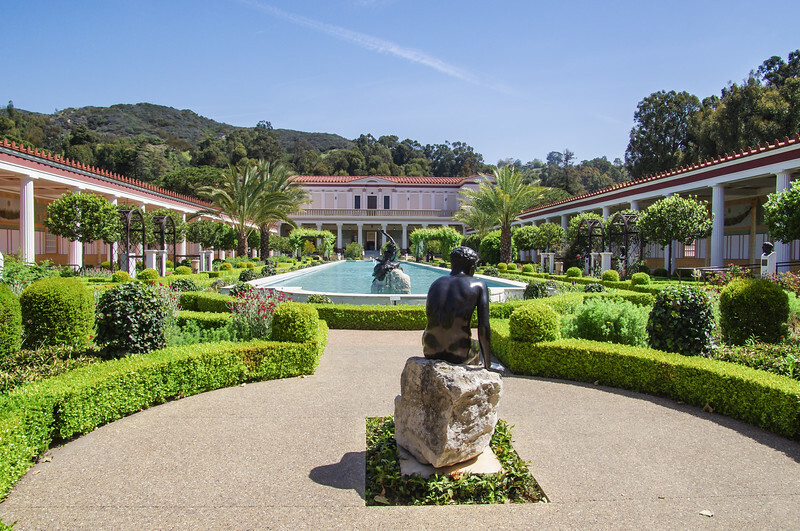 Filled with artifacts from ancient Greece and Rome, the Getty Villa offers museum-goers a glimpse into ancient cultures through a massive (and controversial) collection. The museum replicates an ancient Roman Villa, and the grounds filled with plants and trees native to the lands of ancient times. And the view from the hillside location in the Pacific Palisades is sure to take your breath away. You can't get any more SoCal than this! Pro Tip: Entry is free, but advanced tickets are required. Parking is $15 per car, so pile in together to save some extra money. Melrose Avenue offers visitors another great shopping experience for those looking for a taste of local culture and fashion. As you may already know, I'm a huge fan of vintage and consignment shopping, so Melrose is one of my favorite spots in the city. And Melrose is where you're guaranteed to see the trendiest LA locals. And don't miss the Melrose Trading Post, a local flea market held at Fairfax and Melrose every Sunday! 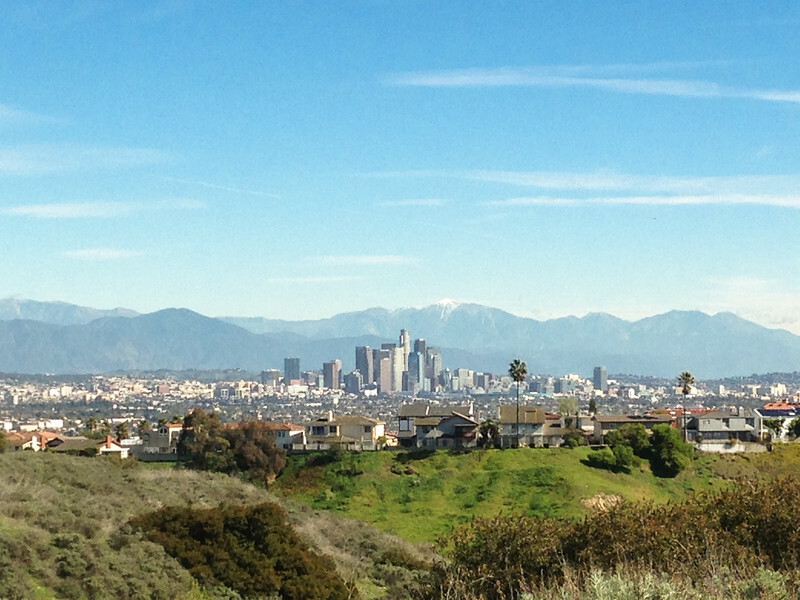 Nestled in Baldwin Hills district of Culver City, Kenneth Hahn State Recreation Area is the ideal place to get that killer shot of Downtown LA you're dying to take home. In fact, Kenneth Hahn offers visitors a cut-rate deal on an outdoor LA experience without the hassle of parking and traffic like Runyon Canyon and Griffith Park. While not as rugged as other hikes, the hikes available at Kenneth Hahn can be challenging and provide some killers views of Downtown LA, the Hollywood Hills, and the LA basin. This dog-friendly park has ample parking, multiple trails and easy access via La Cienega Blvd. Just be sure to bring the $6 park entry fee. You can't get much more locals only Los Angeles than this! Tucked snuggly away in the California Science Center, the Space Shuttle Endeavor is a marvel to behold. NASA retired the shuttle in 2011 after 25 space flights totaling nearly 300 days in space. Being so close to the shuttle is powerful, especially for those of us who remember the tragedies of failed shuttle missions. Watching the shuttle make its way through the city streets was exciting. And it's especially crazy to think that humans climb into structures like this and take the ultimate adventure. The rest of the California Science Center deserves your attention, too, so don't ignore the museum. Established in 1917, Grand Central Market has long been a mainstay of Downtown Los Angeles. The market has continuously operated since it's inception and will celebrate 100 years of service to DTLA in 2017. Once the cornerstone of the local community, the market now serves both locals and tourists. It draws visitors seeking a to find a marriage of LA flavor and history. 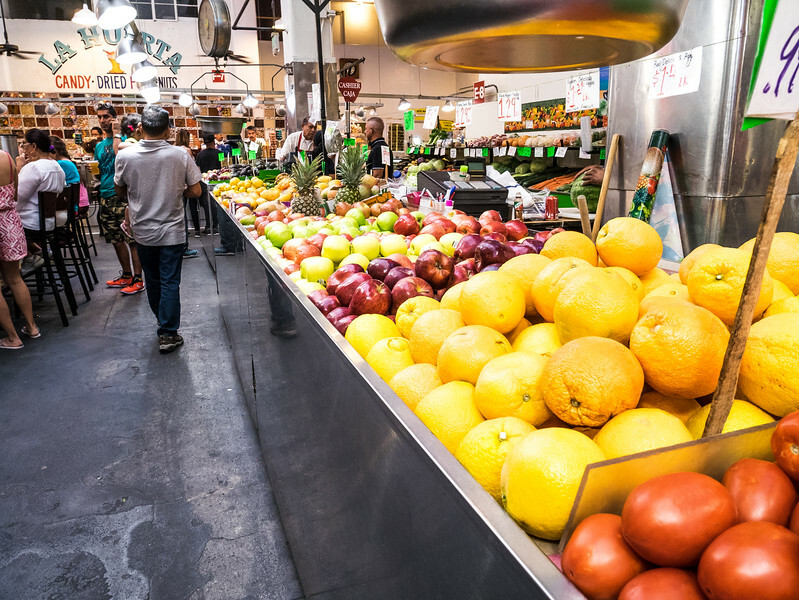 Located across the street from Angels Flight on one side and the famous Bradbury Building on the other, Grand Central Market is ideally situated for a day of DTLA fun. And with tons of food stalls to choose from, you're sure to find something yummy to eat and drink to fuel your fun. Pro Tip: For a more detailed DTLA guide check out my DTLA itinerary for culture lovers. While most people head to Santa Monica or Venice Beach to experience LA beach life, many locals would tell you that Manhattan Beach is the best beach! With soft sand, beach-front cottages and abundant volleyball nets, Manhattan Beach is what most people envision when they think of SoCal beaches. With plenty of parking and shoreline, you'll find everything you need to spend a full day frolicking in the ocean. Position yourself close to Manhattan Beach Blvd to take advantage of all the shops and dining options this beach city has to offer. This beach is locals only Los Angeles at its finest! I've written before about The Broad Museum, calling it one of my favorite locals only Los Angeles spots. It's safe to say it's my favorite museum, mostly because of the stylish exterior and simple interior. The focus is really on design and art at The Broad. The eclectic collection of modern and contemporary art is fun and hip, with plenty of pop-culture nods throughout the museum. Entry is free, but reserved admission will save you time. There is a stand-by line available on-site for those without reservations, but be prepared to wait if you choose to line up. For those interested in experiencing the Infinity Mirror Room, be sure to line up first thing in the morning or reserving the first access to the museum. The Mirror Room can't be reserved until you enter the museum and often fills up early in the day. For a taste of Japanese culture, don't miss this fun West LA neighborhood. Full of fun shops, restaurants, and karaoke bars, Sawtelle Japantown is a great place to spend an evening. The bright lights come on after sundown, inviting you to taste all kinds of Asian flavors. From shave ice to ramen, you'll find something tasty to eat and fun to buy. Don't Miss My Other LA Travel Guides!